Is the Precipitous Rise in Dementias and Alzheimer’s Disease Over the Last Twenty to Thirty Years Linked to Lifestyle? I have discussed lifestyle dementia, especially in the Baby Boomer generation and beyond, being a real concern for the near future. One of the lifestyle factors that I discussed was improperly managed and uncontrolled diabetes. Diabetes can occur at any age, but it seems that more people in their 30’s and 40’s are, at the least, pre-diabetic, with many going on to be diagnosed with Type II diabetes. Type II diabetes used to be controlled with exercise and diet, but now typically includes non-insulin medication as part of the equation (Type I diabetes must be controlled with insulin). One of those medications is the diabetes drug, Victoza (liraglutide [rDNA origin] injection). You’ve probably begun seeing a lot of commercials for this drug in the last couple of months here in the United States. Victoza is also being tested to see if it can slow the progression of Alzheimer’s Disease. Personally, in addition to dementias and Alzheimer’s Disease being labeled as diabetes III, some of the new research seems to me to show a more compelling link between high blood glucose levels and the burgeoning explosion of not only dementias and Alzheimer’s Disease in the elderly population, but also in people as young as their late 30’s. I suspect – this is my opinion – our more highly-processed food diets combined with being overly sedentary are major factors in this. I’ve spent a lot of time thinking about why over the last twenty to thirty years, we’ve seen such an explosion in these two neurological diseases. And we’re seeing an alarming increase in dementias and Alzheimer’s Disease at younger and younger ages. And, it is, no doubt, in large part due to a greater toxicity in our natural environment (air, water, and even big-farm-grown food, with all the pesticides and herbicides that have, with prolonged use, permeated our soil and our water supplies so that we’re eating and drinking poisons every time we put “fresh” food in our mouths). But with this emerging link between high glucose blood sugar levels and cognitive impairment, I am coming to believe that our fast-food, “meal-in-a-box,” highly-processed foods diet combined with little-to-no regular exercise is a significant contributor as well. Americans, especially, have some of the most atrocious eating habits in the world. Eating real meals at appropriate times during the day has all but disappeared and, in a lot of homes, eating has become whatever, whenever, and results in being the equivalent of nonstop snacking. I’m always amazed at how much we eat out and don’t cook at home. I’m equally surprised that when we do cook at home, it’s not really cooking, but taking a box, can, or bag of something prepackaged and heating it up. We have grown to really like the taste of processed food, fast food, and restaurant food and we don’t like the taste of home-grown food and foods made from scratch. The fast food, restaurant food, and processed food industries have made sure that we prefer their food to real food by making it high fat, high carbohydrate, and even high sugar. McDonald’s, for instance, uses a simple sugar, dextrose, to give its french fries their unique and – I may the only person on the planet who has eschewed McDonald’s food all my life – for most people, addictive flavor . Check your pantry, refrigerator, freezer, and cabinets right now and see how many of the processed foods in there have a form of sugar (dextrose is a common one) added. 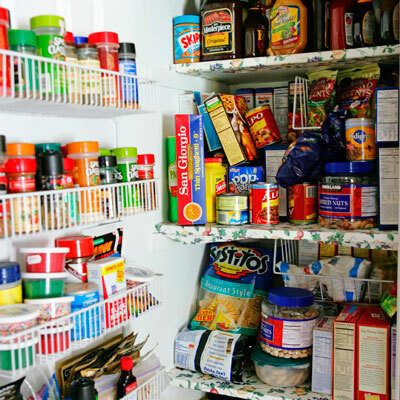 Remember that the listing order of ingredients on food packages is from most used to least used. 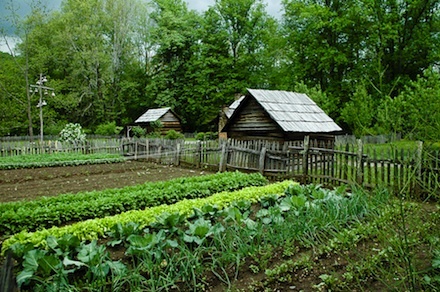 While our grandparents or great-grandparents had gardens and fruit trees, raised chickens and/or beef cattle (or had a neighbor who did), and worked more laborious jobs to earn a living and then spent a lot of time working laboriously at home (cleaning houses, mowing lawns with a push mower and tilling, planting, harvesting, and preserving the produce they grew), we modern westerners grow very little of our own food, preferring the boxes, cans, and bags of food at the grocery store and buy hormone and antibiotic-filled chicken and beef in super WalMarts after our 10-12 hour days mainly sitting in an office staring at a computer screen. 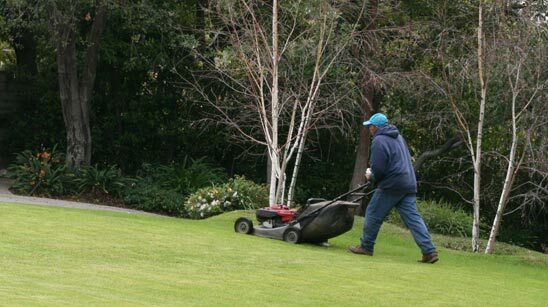 When we do get home, if we haven’t hired a lawn maintenance service, then no matter how small the yard, we jump on a riding lawn mower and cut the grass in a few easy sweeps. A fair number of us pay someone to clean our houses. 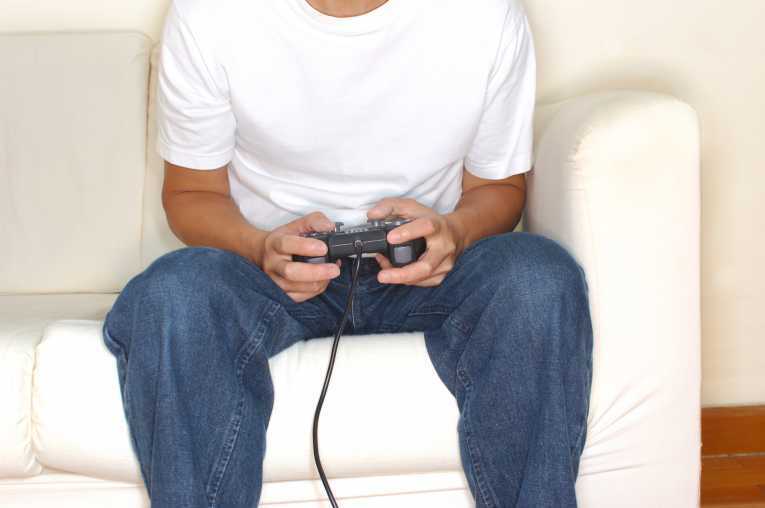 Our other time at home is mostly spent in sedentary activities in front of computer screens, video games, and TVs. So in many ways, although I don’t at all discount genetic factors and a very toxic planet, we westerners have adapted a diet and exercise lifestyle that very likely could be contributing to the earlier and exploding rise in cognitive impairment and decline. As with all diseases, there are many factors out of our control, but what we eat and whether we exercise are two factors we have complete control over. When I consider everything outside of my control working against me, then I undertake very seriously anything that is within my control. Does that mean, if I live long enough, I won’t suffer with dementias and/or Alzheimer’s Disease? Frankly, the odds are against me – as they are against you – with these diseases. However, how I personally to choose to eat and exercise all my life may have a great impact on how long it takes and how bad it becomes. It may not, but I’d rather err on the side of caution. I steadfastly believe that because Mama ate healthily all her life and exercised every day, even in little, short, slow increments throughout the day, with my guidance, almost up to her death, the worst of her symptoms were in only the last two years of her life. So, what will you do differently, starting right now, with the things in life – and your lifestyle – that are in your control? This is a very well-written piece. Management of both T1 and T2 are key steps to minimizing symptoms. I just discovered your site and it’s a great read. If you have a moment, I’d like to ask a few questions, but can’t find any contact info. Please email me. Thanks! Thank you, Mario! You can contact me at goinggentleintothatgoodnight@gmail.com. I do agree with you that adapting highly processed food in our lifestyle has made us more prone to dementia and Alzheimer’s cases, especially in western countries where people are so busy in their daily routine that they prefer processed instead to cooking real food, improper body exercise and increased toxicity in environment has a good contribution in the increased number of dementia and Alzheimer’s cases, To Know about the current condition of dementia and Alzheimer’s cases, Please visit bluebirdcare.ie/2013/12/12/dementia-cases-set-to-soar-in-the-us-by-2050/.